The MicroMate looks like nothing more than an external floppy drive, but it's actually a complete, self-contained CP/M microcomputer. A single-board Z-80 CPU with full I/O and floppy disk controller is contained within a 5 1/4" full-height external floppy enclosure. There's enough room left over to house a 5 1/4" half-height floppy drive. 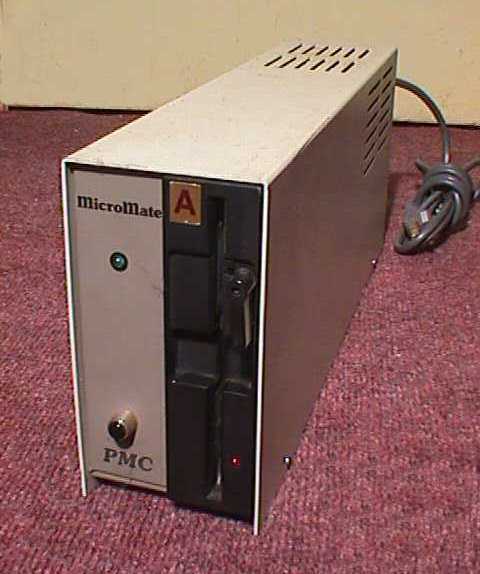 PMC marketed this machine as a "Terminal Expander" which would turn a simple ASCII terminal into a full-fledged CP/M computer.